Dr. Stefan Lawrence has said that new technologies has helped lead to the ‘hyperdigitalisation’ of football clubs. 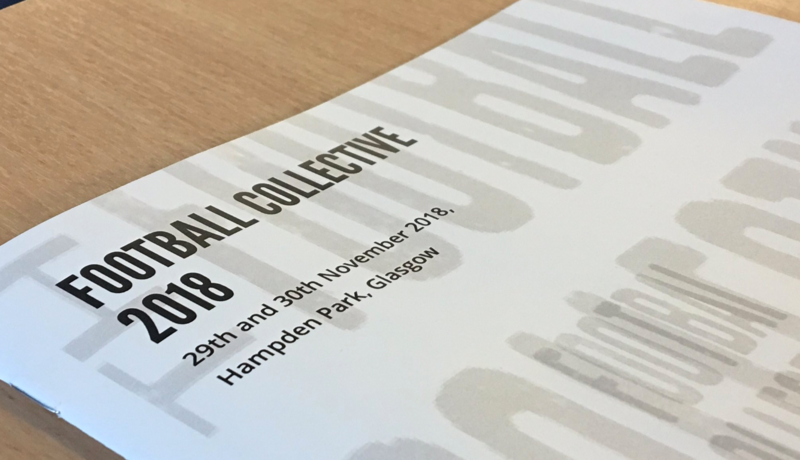 As part of this year’s Football Collective ‘challenging the narrative’ Conference at Hampden, Stefan gave a fascinating lecture on modern fan cultures, created with research partner Gary Crawford. Stefan said that the growth of social media has helped fans to get easier access to content from their clubs, which have become more adept at utilising them to their commercial advantage. Stefan credits four main factors with he growth of what he terms ‘hyperdigitalisation’. “The first aspect is cultural resistance to the Murdochisation of sport; which refers to the ways in which football fans are resisting the paywalls that have been imposed on them, which mean they can’t watch their team as cheaply as they could thirty or forty years ago. “Secondly, there is the ‘Internet of Things’, and the differing ways in which gadgets talk and interact with each other, and how they have changed everything. “Then there is the naturalisation of digital communication, which means that we no longer think that using technology to talk to each other about football is odd, or alternative. “It is the main way that we talk to each other about the football industry. “And the fourth is the de-territorialisation of the football pyramid. “What that means, in plain English, is that spatial connections between supporters and their clubs are weakening, which has been going on for the last 20 years in the English Premier League, particularly. Stefan believes that the rise of hyperdigitalisaton will continue as clubs continue to find new ways to deliver content to fans. “These organisations are fundamentally capitalist, and are interested in generating as much profit as possible. “Digital technologies have opened up new ways for football fans to interact with their clubs. “In order to continue to make money out of novels ways and a changing customer base, corporations are changing not only their broadcast models, but also the ways they are interacting and offering services. Next Partially sighted football? What’s that all about then?